Last Sunday, the sports center move held a massive master class in the Plaza de la Balsa Vieja in Totana, an act framed in the Fiestas de Santa Eulalia de Totana 2018 program. The activity started at 11.00 with a Zumba session organized by the Step by Step Dance School, a collaborator of move, which was attended by more than 50 people. 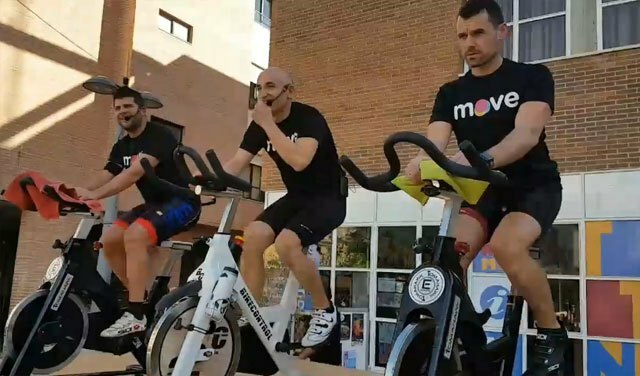 Then the session of Cycling led by the three monitors of move with 40 bicycles that had previously been moved from the sports center.